The Centre would allow staff to experience the surrounds in a safe learning environment before going to the Australian outback. A new facility will allow staff from an aeromedical organisation to be dropped into the Australian outback all from a small training room in the city, thanks to new video technology and a high-fidelity mannequin. As reported, the A$ 100,000 centre is the first of its kind in the country to be used for health care. It will allow skills and team scenarios to be played out by staff as though they were on the ground in far-flung locations. Since most staff would spend time in an outback environment, it was important to allow them to experience the surrounds in a safe learning environment. It is also pretty exciting to be able to change the scenarios quite drastically, but also as important is to be able to reflect the settings for the clinicians. The centre allowed people to think and act in an environment that was as realistic as what they would experience thanks to 360-degree video footage. It is about bringing teams together in an immersive environment and making them critically think through the situation. The beauty of the immersive video technology is that a number of scenarios can be created. 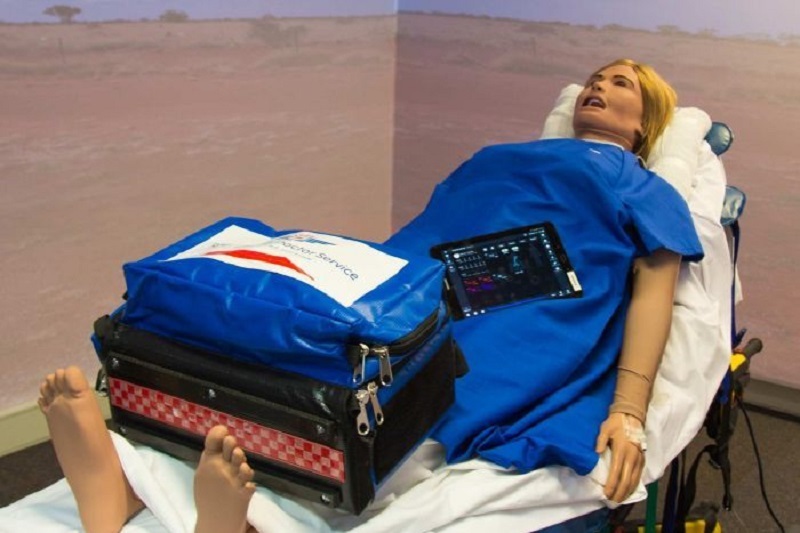 Besides the many life-like features Mary was equipped with, the ability to converse with a mannequin patient was what set the technology apart from other training resources. When performing patient assessments, the psychological safety for the patient is so important. Giving that calm instruction and being able to have a conversation to get the best outcomes for the patient are keys. Plus, it has a heart, lung and multiple pulse points, which gives the staff the ability to place cannulas. The clinicians will be taken on a journey with the patients as well as be given working outcomes. The simulation environment is important because technology can be used to add sound effects of wind, rain and thunder and place them in that location. The mannequin’s vitals can be monitored via a smartphone or tablet. The technology really is that realistic for when they are in the room, they are thinking about scene safety and looking for dangers and looking at the patient. The facility would ensure the quality of health care provided by the organisation in the future. It will make the workforce safer and more confident in their practice. It will also strengthen the chain of survival and the care delivered to patients, thereby saving more lives. The organisation hopes to create videos that reflect each of its bases throughout Queensland before rolling out the technology model to other locations.